Beverly Maglinger 81, of Rumsey, Kentucky went home to be with the Lord on Monday, February 11, 2019 at Owensboro Health Regional Hospital. Beverly Jean Austin was born July 8, 1937 in McLean County, Kentucky to the late Lawrence Corum and Anna Lorene Gossett Austin and was married to Thomas Ray Maglinger, Sr. Beverly earlier worked at General Electric in Owensboro, retired as a waitress from Barney’s Callis Grill in Owensboro and was a member of Knobbs Church of God of Prophecy. 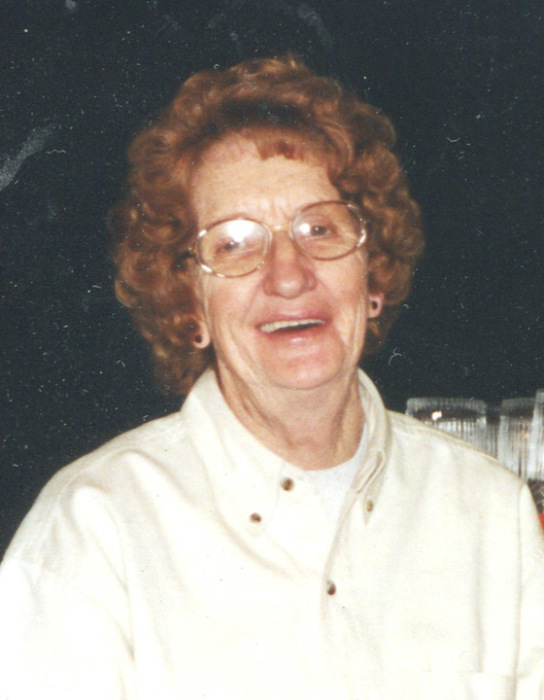 She enjoyed bird watching, gardening and spending time with both her family and friends, especially her grandchildren. In addition to her parents, Beverly was preceded in death by her husband Tommy Maglinger; a son, Tommy Ray Maglinger, Jr.; a brother, John Austin; and by a sister, Helen Boone. Survivors include two sons, Michael Maglinger (Sandra) of Rumsey and Tracy Maglinger (Gaye) of Calhoun; 5 grandchildren; 10 great grandchildren; a brother, Roger Austin (Sue) of Calhoun; several nieces and nephews. Funeral services will be held at 11:00 A.M. Friday at Muster Funeral Homes, Calhoun Chapel with the Rev. Kyle Stroud officiating. Burial will be in the Poplar Grove Cemetery in McLean County. Friends may visit with Beverly’s family from 4:00 P.M. until 8:00 P.M. Thursday and from 9:00 A.M. until 11:00 A.M. Friday at Musters in Calhoun. The Beverly Maglinger family requests that expressions of sympathy take the form of donations to Poplar Grove Cemetery Fund; C/O Jerry Baggett; 5007 Pack Church Road; Rumsey, Kentucky 42371. Memorial contribution envelopes will be available at Musters in Calhoun. Share your memories and photos of Beverly at musterfuneralhomes.com.